Round 3 of voting for the new F# logo is underway! Please vote for your favorite! Functional Geekery Episode 14 is out with Richard Minerich. 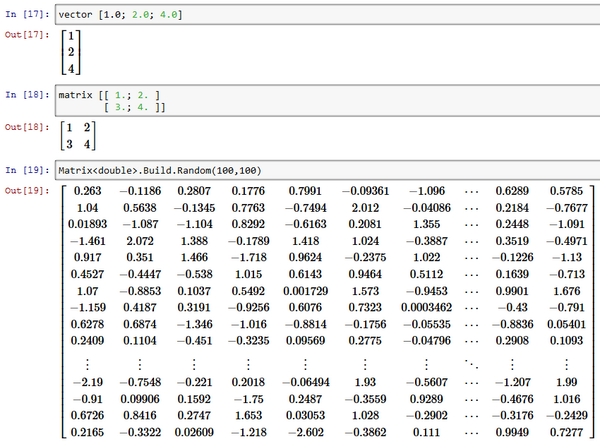 FsPlot v0.6 is released with an FSharp.Charting like API and PNG screenshot export. Welcome to join “F# Web Stack” forum. 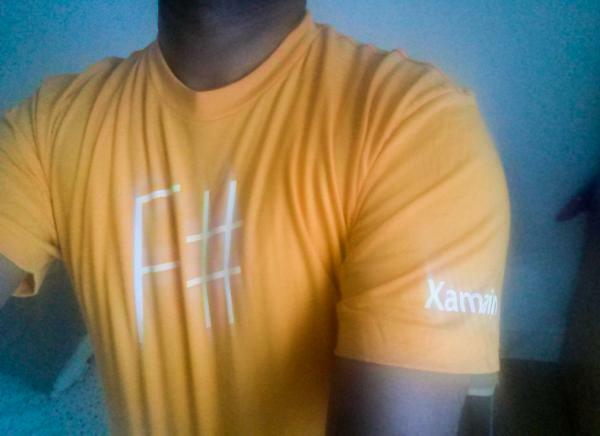 Cross-Platform Development Platform Xamarin Raises $54M Series C.
Announced the release of Visual F# Tools 3.1.2! OkayX6 sent PR with “groupby implementation“. Mårten Rånge sent PR that “allow use on member binding“. “A Day in the Life of a Functional Data Scientist” with Richard Minerich. 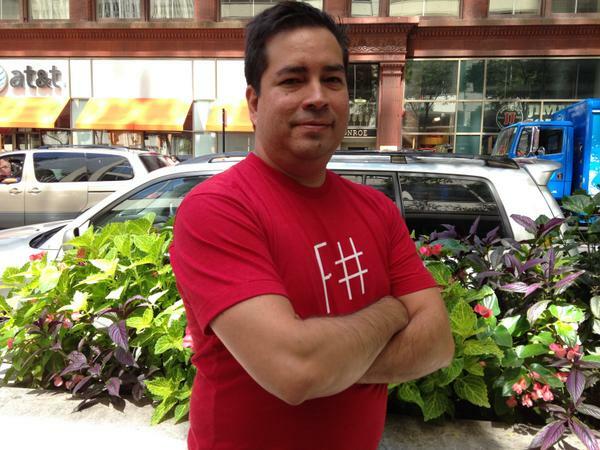 Taking F# to the Masses with CloudSharper (and Adam Granicz!). F# Web Development with Ryan Riley. (+samples). F# + SignalR + Xamarin.Forms with Juan M Gómez. ML Dialects and Friends: OCaml, F#, Scala, Haskell. Kevin Cantù posted “Operator precedence: F# and Haskell“. Richard Dalton finished his “Active Patterns” series with “Active Patterns : Choices and Nesting“. Eirik Tsarpalis wrote technical overview of FsPickler. Aleksander Heintz blogged “Language Support in the language you’re supporting (or eating your own dogfood)“. Anh-Dung Phan posted “F# and linear programming: an introduction to Z3 optimization API“. Jamie Dixon wrote “Consuming and Analyzing Census Data Using F#“. Simon Fowler announced “WebSharper UI.Next Version 0.1.31.32“. Vince Avery wrote about “Timings and GC in C#“. 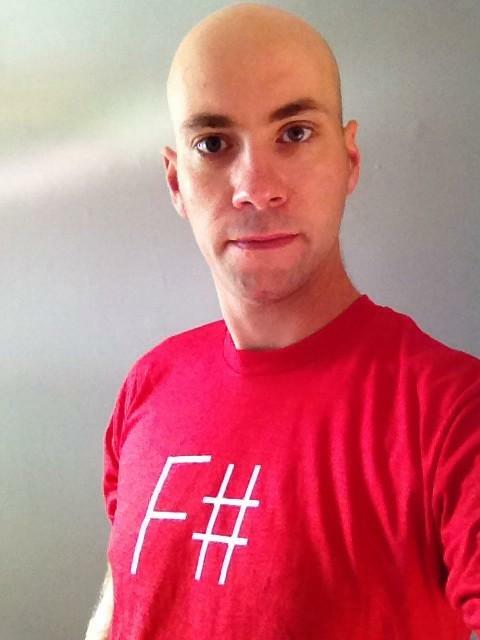 Daniel Bradley posted “Reflections of a .Net’er in a Node World (Some F# Language Ideas)“. Senthil Kumar published “FSIAnyCPU Feature in Visual Studio 2013“. Tim Jones blogged “Writing a MiniC-to-MSIL compiler in F# – Part 4 – Building the intermediate representation“. 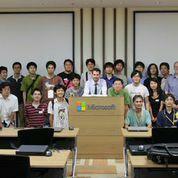 Ronnie Holm posted “Querying SharePoint 2007 lists with WSDL, XML, and Regex F# type providers“. Mathias Brandewinder blogged “Coding in the Age of Mobility: @fsibot 0.1 is out!“. Visual F# PowerTools v1.4.0 is out with graying out unused opens, full support for VS 14 and much more besides. Vote for “Support for collectible assemblies” if you want to see more improvements for F# Type Providers and REPL. FSharp.Formatting & FSharp.Formatting.CommandTool v2.4.21 are out. F# Azure Storage Type Provider v1.1.0 is out. CloudSharper v0.9.16 is out, allowing you to develop custom editors. Adam Granicz shared “PhoneJS for WebSharper sample“. Interested in the best options for serialization in F#? Checkout the FsPickler performance page. Sindunata Sudarmaji created chocolatey package for Visual F# Tools. Taha Hachana shower “jQuery Image Carousel“. 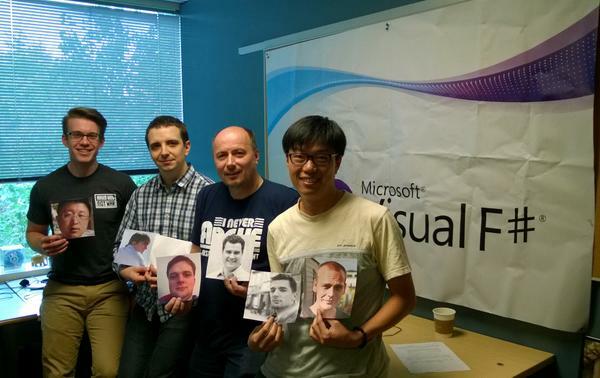 Help Visual F# Team out by trying the release candidate for Visual F# Tools 3.1.2. Patrick Mcdonald implemented a F# 4.0 feature (implement skipwhile) – review his PR. ‘Cannot add reference to F# PCL project‘ F#issue is fixed. PluralSight course “F# Functional Data Structures” with Kit Eason. A new Course “F# via Machine Learning” with Mathias Brandewinder was announced. “FSharp.Data Poster” by Tomas Petricek. Juan M Gómez blogged “Hello CocosSharp from FSharp!“. Phil Trelford posted “Running TAP“. Ronnie Holm posted “Querying Azure Active Directory through Azure Graph API with F#“. “aether — total & partial lenses for f#“. Marius Schulz posted “Learn the Basics of F# with Project Euler“. Ashley Towns blogged “Running .Net on heroku“. Jamie Dixon wrote “Controlling Servos Using Netdunio and Phidgets“. 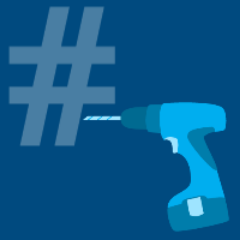 Enjoy F# trending projects on GitHub! AkkaDotNet v0.6.2 is released with improved F# support. Mono 3.6 is out, so no need to build mono from scratch anymore. Streams (top trending F# project) v0.1.5 is on NuGet: introducing ParStream and new ResizeArray functions. Join FSharp.Formatting developing starting from up-for-grabs items. Taha Hachana created Google geo charts with FsPlot. Eirik Tsarpalis has updated FsPickler performance page. 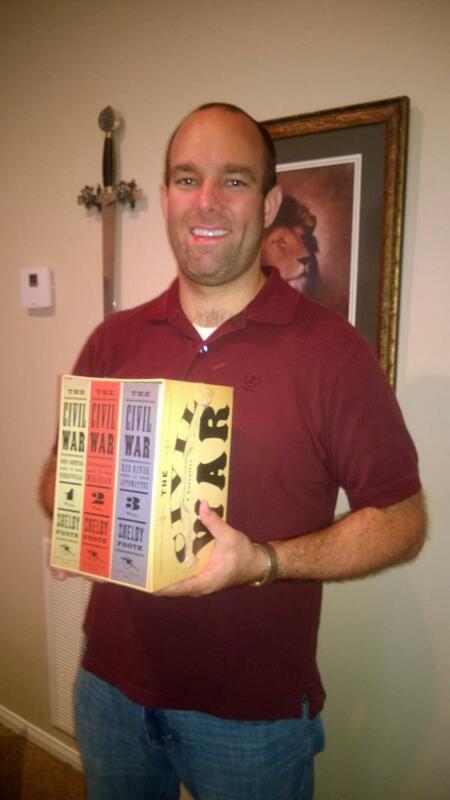 Dave Thomas republished a bunch of posts from his old blog. 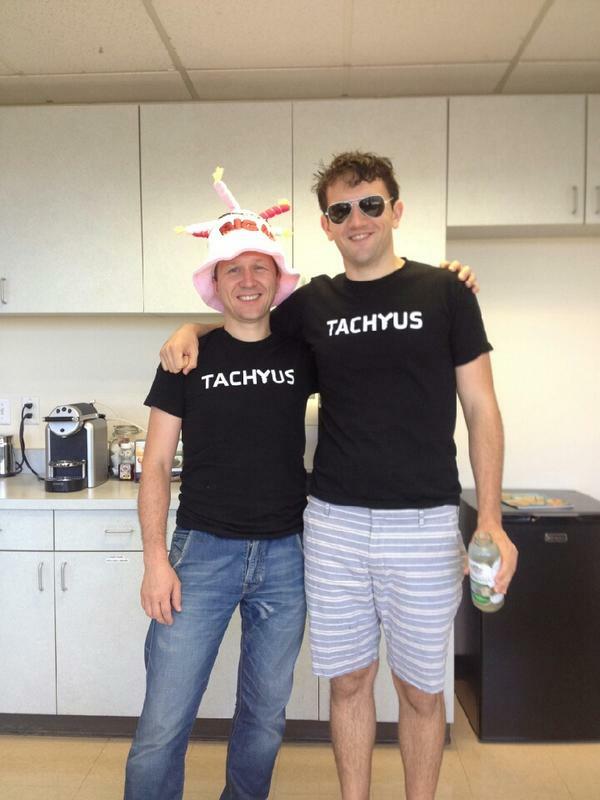 Anton Tayanovskyy joined Tachyus F# team. Yan Cui updated JSON serializers benchmark. A new F# compiler bug was found “Wrong code generated for “Subscribe” method calls“. “F#で動かすraspberry pi+lego mindstorms” by moonmile. “どこでも使えるF sharp again pub” by Masahiko Miyasaka. “F# intro” by yoko ishikuro. Cameron Taggart blogged “Read & Write RPM Files from F#“. Johan von Tangen Sivertsen posted “C# F# Excel parsing“. Jamie Dixon wrote “Neural Network Part 3: Perceptrons“. Aleksander Heintz blogged “vNext with a touch of functional“. Ronnie Holm posted “Querying Active Directory organizational units, groups, and members with F#“. Bartosz Sypytkowski blogged “Actor Supervisors in Akka.NET FSharp API“. Active Patterns: Single Total (|A|). Active Patterns: Single Total With Params (|A|) x.
Pepijn de Vos wrote about “Learning F# as a lesson in feminism“. Nicholas Wolverson blogged “Strong typing for SignalR“. Richard Dalton published “ByRef Params: You gotta love F#“. Juan M Gómez posted “Creando un TypeProvider“. Alex Casquete wrote about “Workflows asíncronos con F#“. masuda published “Xamarin.Forms の TypeProvider を作ろうとしたが断念したの巻“. 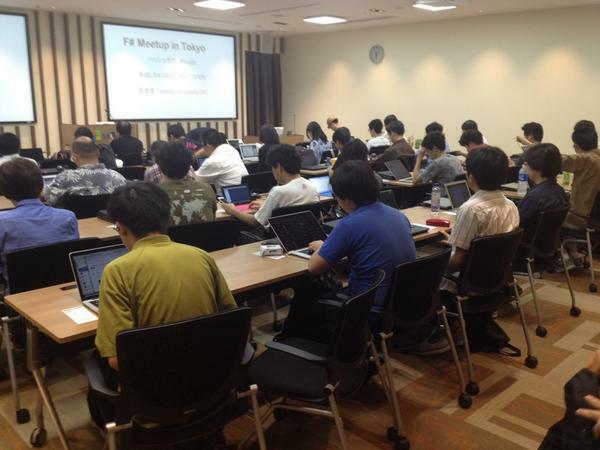 htid46 wrote “F# のデバッグ方法 #fsharp“. Enjoy F# chat on StackOverflow. 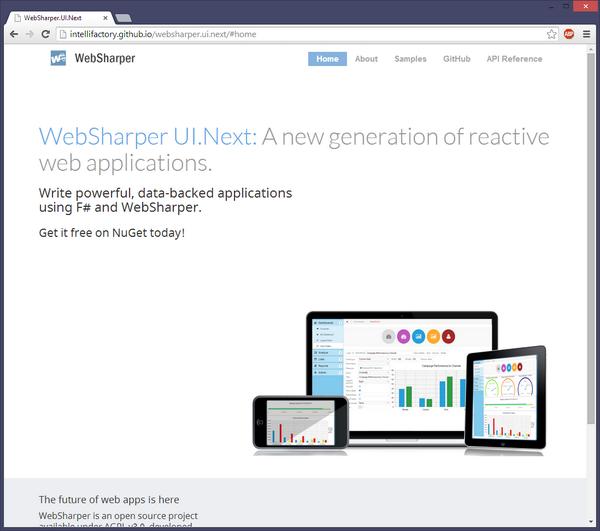 WebSharper UI.Next now has a shiny new website. First wave of samples for WebSharper bindings to WinJS 2.0.1. 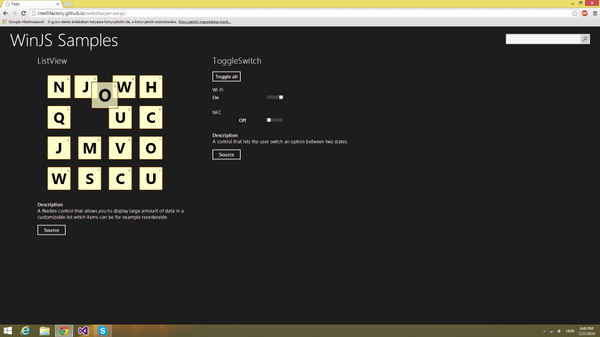 Taha Hachana shared his first WebSharper UI.Next experiments. FSCL 1.3 is online(New project structure, NuGet packages, FSCL organisation, GitHub pages with docs and tutorials)! F# FreeBSD package is updated to 3.1.1.25. All you need is to ‘pkg install fsharp’ (well, run ‘pkg update’ first). A new interesting SO reply by Edinburgh University’s James Cheney about a new approach to dynamic LINQ queries in F#. Please install the latest version of Visual F# Tools preview. Help to find the remaining issues! Is anyone interested in working on speeding up the F# compiler? Mårten Rånge was tweaked the F# compiler to generate faster IL code for ‘for x in xs do …’ when xs is a ‘T list. A new issue in Visual F# 3.1.2 “Visual F# 3.1.2 build actions missing“. “Functional thinking, a universal tool for the digital world” with Nicolas Rolland. “Intoduction to Homotopy Type Therory” by Jack Fox. “Option Types using F#” by Jorge Fioranelli. Mathias Brandewinder blogged “Picasquez vs Velasso: Classics Mashup with F#“. Palladium Consulting posted “How Many Children are Leaving Central America: F# Edition“. Mark Seemann blogged “How to create a pure F# ASP.NET Web API project“. Simon Fowler posted “Animating single-page applications with UI.Next“. Richard Dalton wrote “Active Patterns: Single Case Total Pattern“. Senthil Kumar posted “How to Find the Sum of odd numbers from 0 to 100 in F#?“. htid46 wrote “Visual F# Power Tools の紹介“.